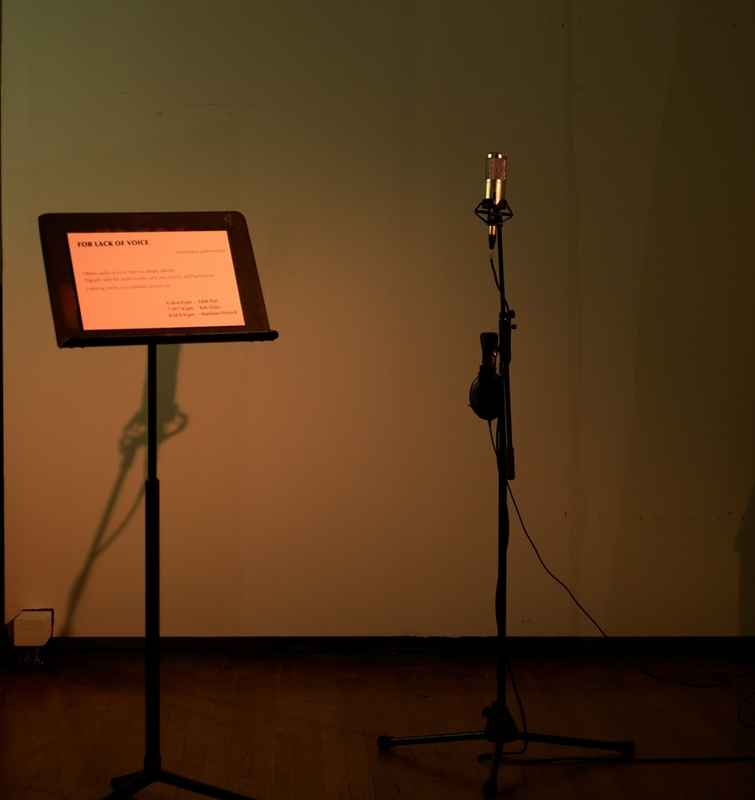 For Lack of Voice is a vocal performance and recording project based on sonic transformations of the voices of iconic singers of the 20th century. Begun in 2009, with a performance that attempted to channel the voice Edith Piaf by singing along to an extremely slowed, reversed and otherwise transformed recording of Non, je ne regrette rien, the project has over the years grown to include explorations of the voices of Bob Dylan, Diamanda Galás, Marlene Dietrich, and Paul Robeson, among others. A 2-song vinyl record, inspired by the voices of Paul Robeson and Marlene Dietrich, is forthcoming, with liner notes by Diamanda Galás. Video documentation of live performance here.